Bhim Axis Pay Offer : Get 150 Rs BookMyShow Voucher by Doing Recharge Of 10 Rs. Bhim Axis Pay BookMyShow Offer:- Bhim Axis Pay UPI app is providing BookMyShow Voucher by doing your First Recharge on their App. It means you have to use Bhim Axis Pay App to recharge your Mobile number with 10 Rupees and you'll be able to get the 150 Rupees BookMyShow Voucher Code on your registered Number or Email ID. As this offer is stated on the Bhim Axis Pay App. You can check the offer banner on the App homepage by quoting that "Your Next Movie is on Us" do your first recharge on Bhim Axis Pay App and get 150 Rupees BookMyShow Voucher. So if you are new to Bhim Axis Pay or if you haven't registered on the Bhim axis pay app then it is the right time to register on it to grab this "Bhim Axis BookMyShow Offer". Just do a simple recharge using Bhim Axis Pay App and get BookMyShow Voucher worth 150 Rupees. Apart from this Recharge Offer of Bhim Axis Pay & BookMyShow. 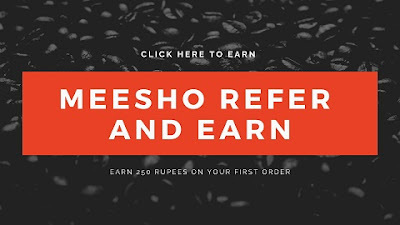 You can also see the Meesho Refer & Earn Offer. Where you can make a good amount of money by referring the app to your Friends and Family and ask them to place their First order. If you're interested in Fantasy Cricket game then you can check Ballebaazi Refer & Earn and other Fantasy Apps. How To Avail Bhim Axis App BookMyShow Voucher? Verify with the same number which is linked to any bank. Now Enter Name, Email & 6 Digit Passcode. If it's your first time to link your number with any UPI App then first create your UPI pin using your Cards details & OTP. Done, You are ready to go. How To Do Recharge to Get BookMyShow Voucher on Bhim Axis Pay App? Open the Bhim Axis Pay App. On the home dashboard, you'll see the Mobile Recharge option. Enter your Number, Operator, Circle and Amount. Fill any amount from 10 to any & Initiate your recharge. Done, Your BookMyShow Voucher will be sent to you through SMS or Email that is registered with Bhim Axis Pay App. Bhim Axis Pay Offer duration is 7th January to 31st January. for the first time and did a successful recharge transaction of during the offer period. voucher for transactions done before or after the offer period. read, understood and accepted the terms and conditions hereunder. clubbed with any other offer of Axis Bank. at the Cinema/Venue Box Office. Gift Vouchers to be valid for 3 months. The customer can only avail this offer once per unique mobile number. So this was the post about how you can get BookMyShow Voucher from the Bhim Axis Pay App by doing the simple recharge of Rupees 10 or More. The BMS Gift Voucher will be sent to you within 7 days. Last day to avail Bhim Axis BookMyShow Offer is 31st January.